The village of Ano Korakiana, in the distance, looks like the mounts Korakio and Korendi that are located in the north-central Corfu and are 18 kilometers away from the town of Corfu, embrace it. 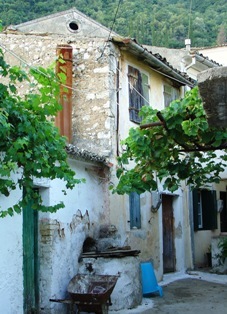 The inhabited area of the village maintains a lot of traditional aspects from medieval times, and still shows resistance to the time and pressure of the modern lifestyle. However, the houses and the natural environment of a place are not the only aspects that define it. The people living in it are those who actually leave their indelible mark on it. Today, the decrease in the village population is evident, despite the settlement, either temporary or permanent, of foreign families. As a result, a village that has got a dynamic presence, is within easy reach of Corfu town and other areas, is near the developed tourist resort of Dassia-Ipsos, starts getting affected by the modern trend of urbanization. 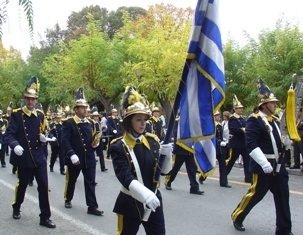 The only hope that remains is the activation of some clubs and organizations such as the historic Music Association ‘SPIROS SAMARAS', as well as the new generation of youths who choose to settle down here, thus going against the grain.Since 1998, the areas of Ano Korakiana and Poulades (which is a few kilometers away) have been the public district of Ano Korakiana of Feakon Municipality. Through history, Korakiana had the same fate as the rest of Corfu. 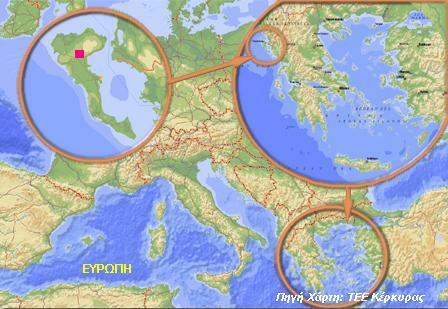 However, at two historic moments of Corfu, Korakiana was severely damaged and its population decreased considerably. The first (and the worst) was in 1537, when the Turkish army of Highredin Barbarossa destroyed Korakiana. 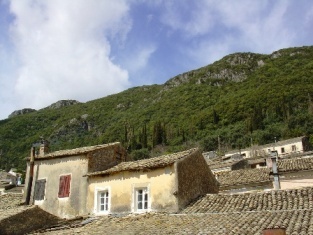 The second was in 1716 when he attacked the village for a second time.The population of the village was renewed many times due to the settlement of people from other areas of Greece that were under foreign occupation (Aegean islands, Crete, Peloponnesus). 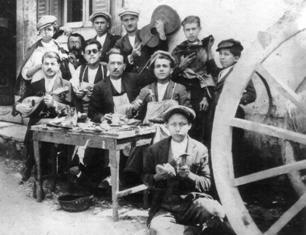 Savvanis (since 1473), Vradis, Mandilas, Ionas, Markos, Metallinos, Laskaris, kaloudis, Linosporis, Reggis, Balatsinos, and finally, Kendarchos and Kefallonitis during the first half of the 16th century. The village has got a considerable number of churches. There are 28 temples in the district of Ano Korakiana. During the English ‘protectorate' many local residents boomed in Corfu town working as owners (or workers) of bakeries, but generally, thrived in trade and are still keeping it up till now. 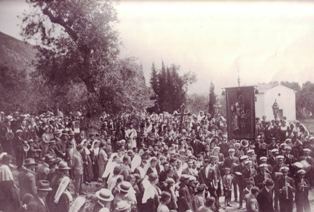 This economic booming brought along spiritual and educational growth, thus many children started following careers in education or science all over Corfu, as well as in the rest of Greece after the union with the mainland. Korakiana was also affected by this educational booming and the high educational level of its people is still prevalent in cultural and other types of celebrations of the village. This is an image of the village after the Second World War, while its roots date many decades back, when the idea of illumination fertilized the village society.